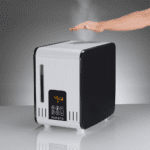 Not as powerful as advanced humidifiers in this category. 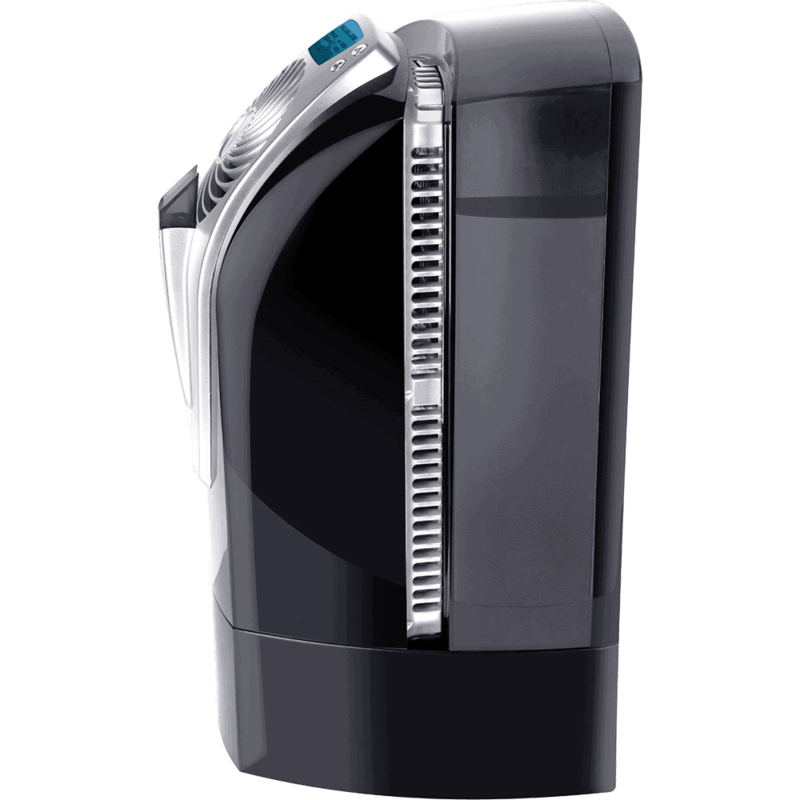 All have a humidistat, water refill indicator, timer, LCD display etc features. 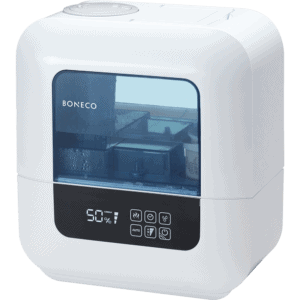 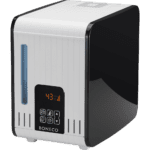 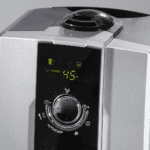 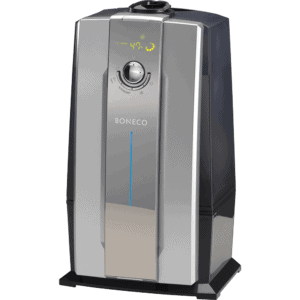 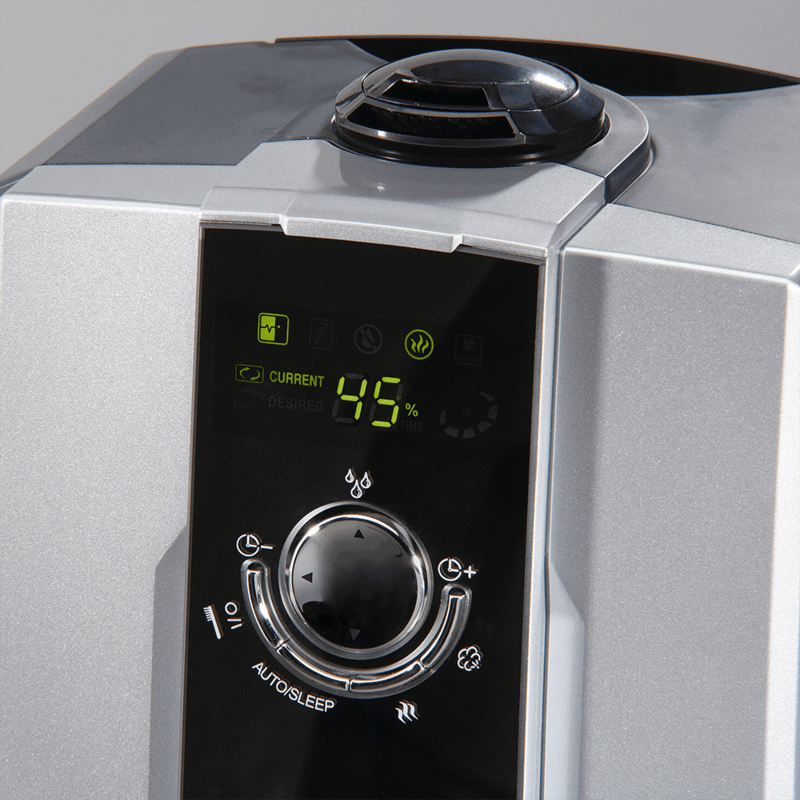 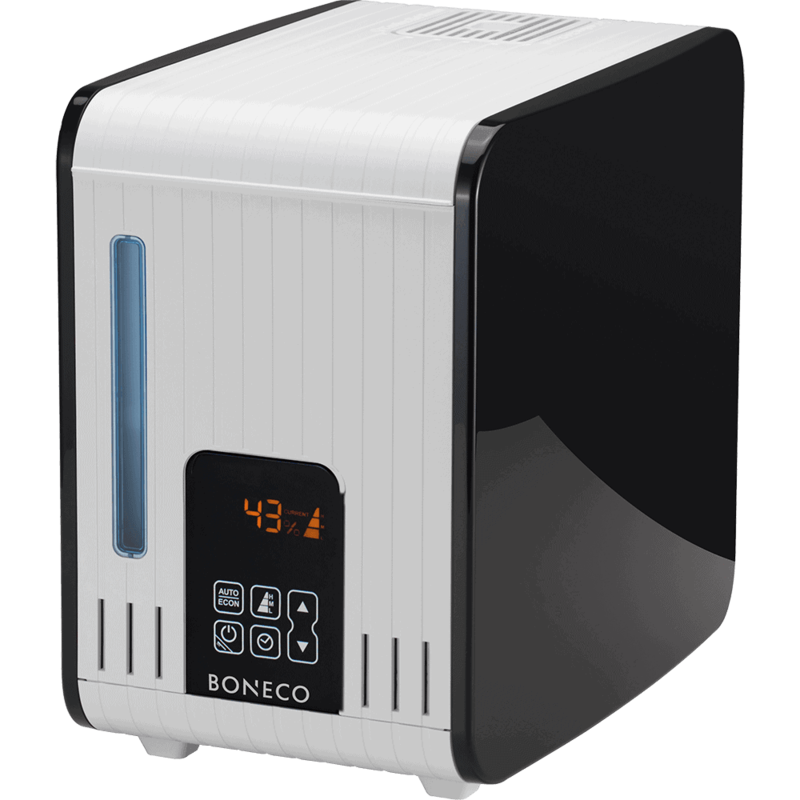 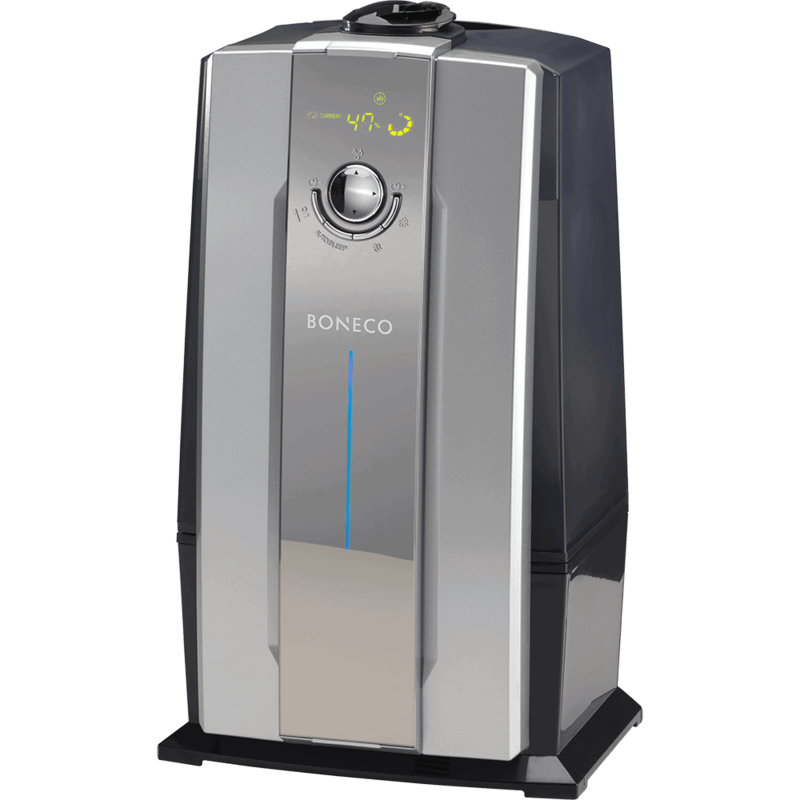 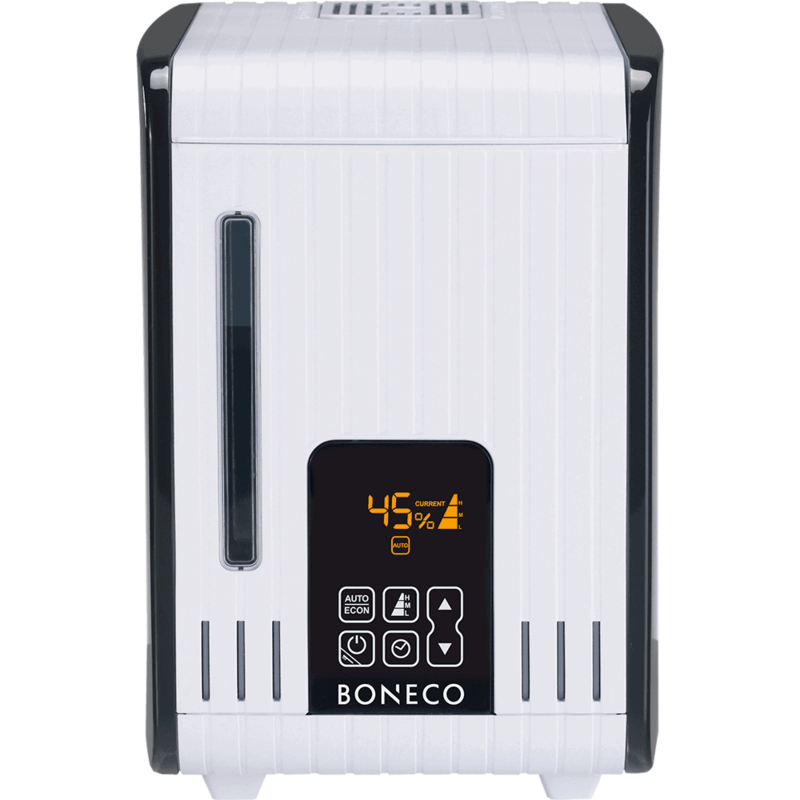 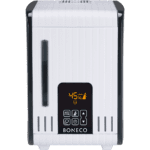 Boneco 7142 has a sleek, compact design, cool and warm mist, pre-heat function, mist output regulation, sleep mode, timer, LCD display, humidistat, water refill indicator, auto mode, carrying handle, a demineralization cartridge, hydro Cell, humidifier clean indicator. 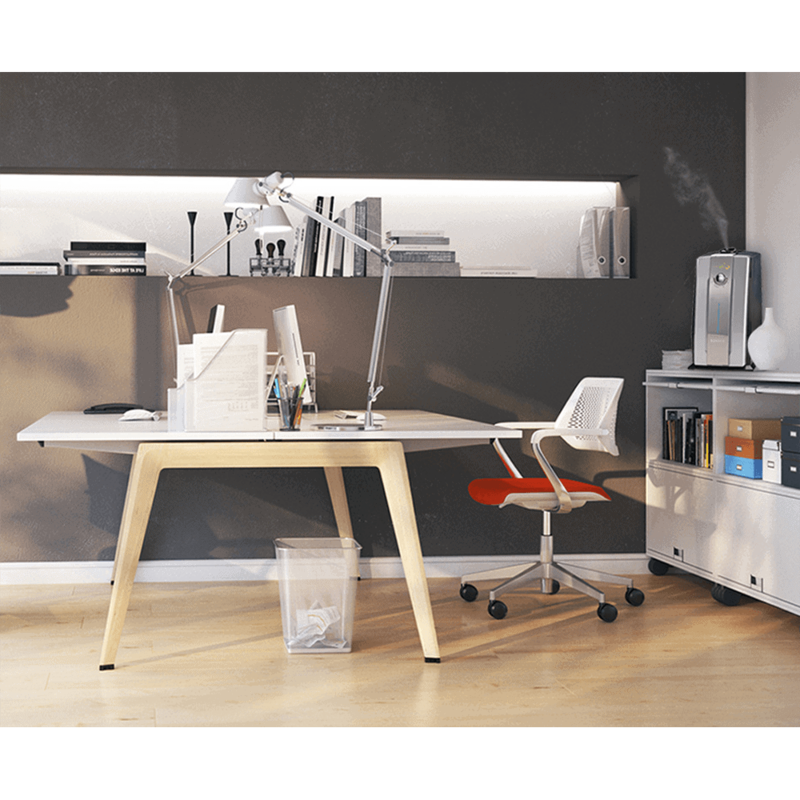 Very quiet. 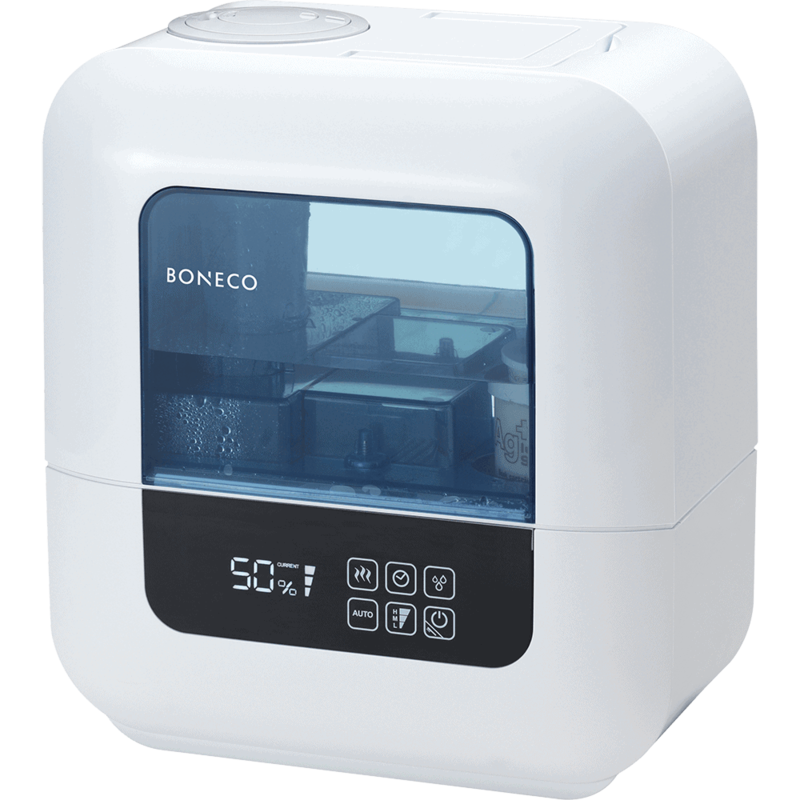 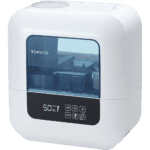 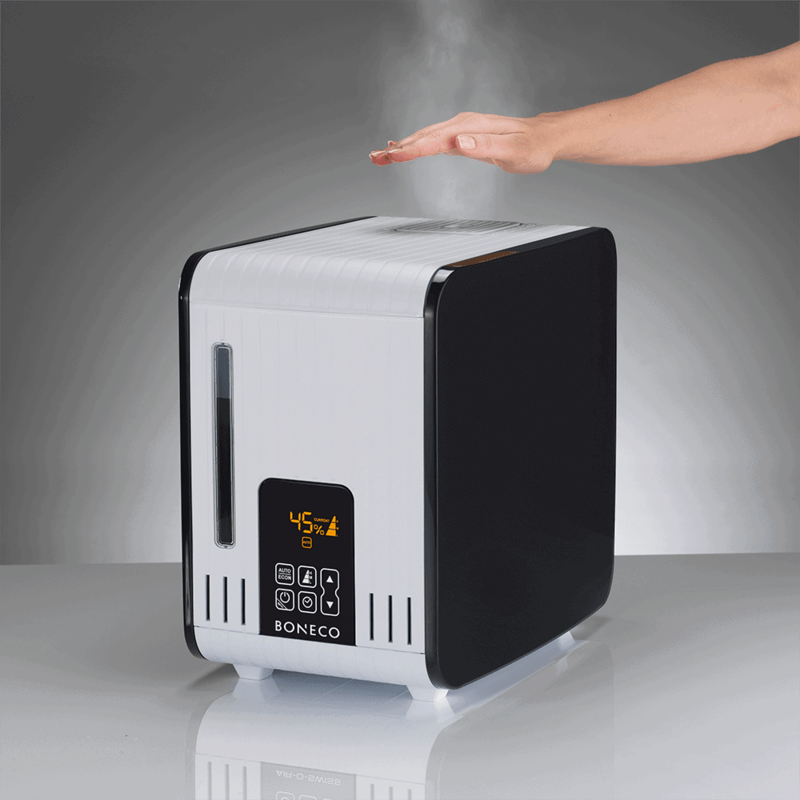 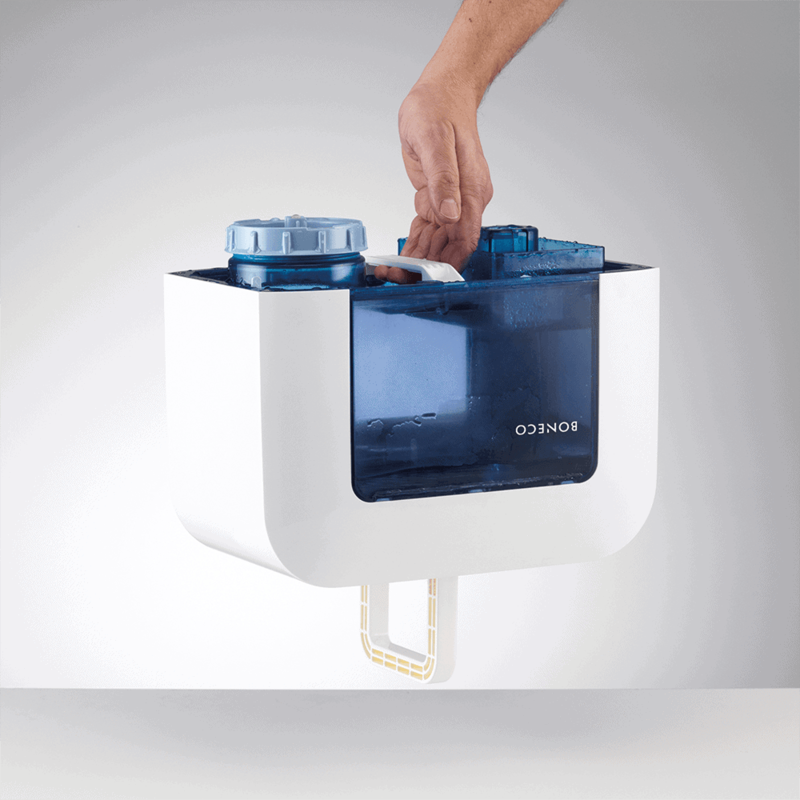 Boneco U700 has a modern cube design, cool and warm mist, sleek digital controls, hygrostat, mist output regulator, humidity display, programmable timer, auto mode, refill, and water change reminders, cleaning indicator. It is whisper quiet. It has a relaxing night light, a demineralization cartridge, hydro cell. 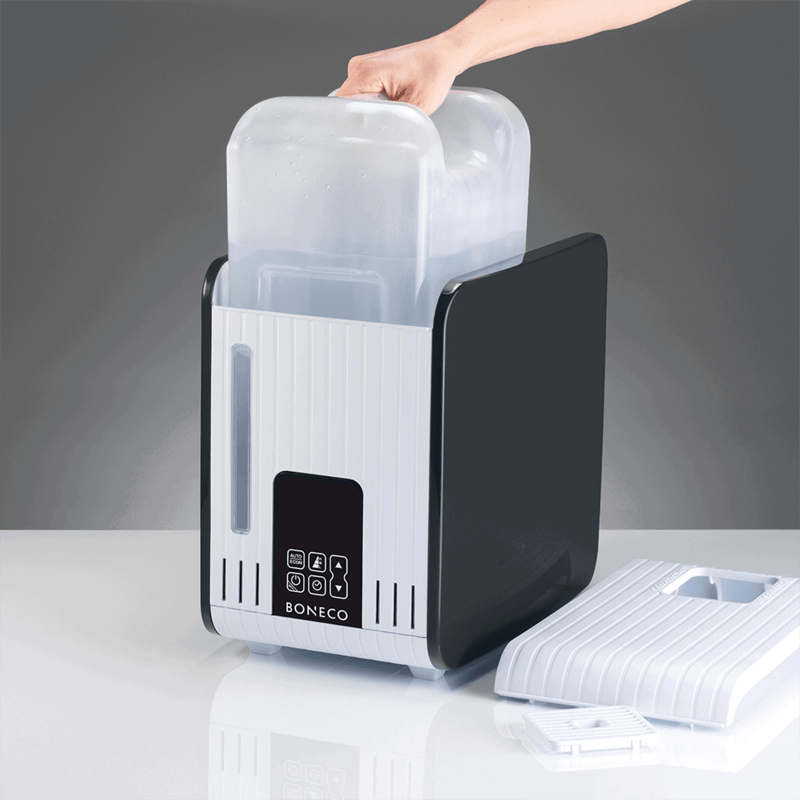 A water tank has a handle. Cleaning brush. 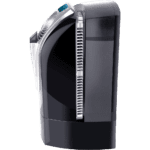 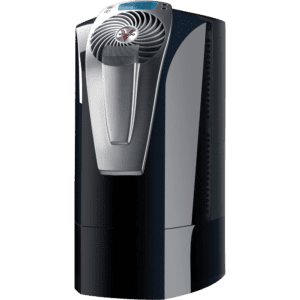 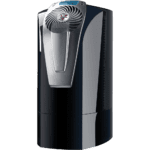 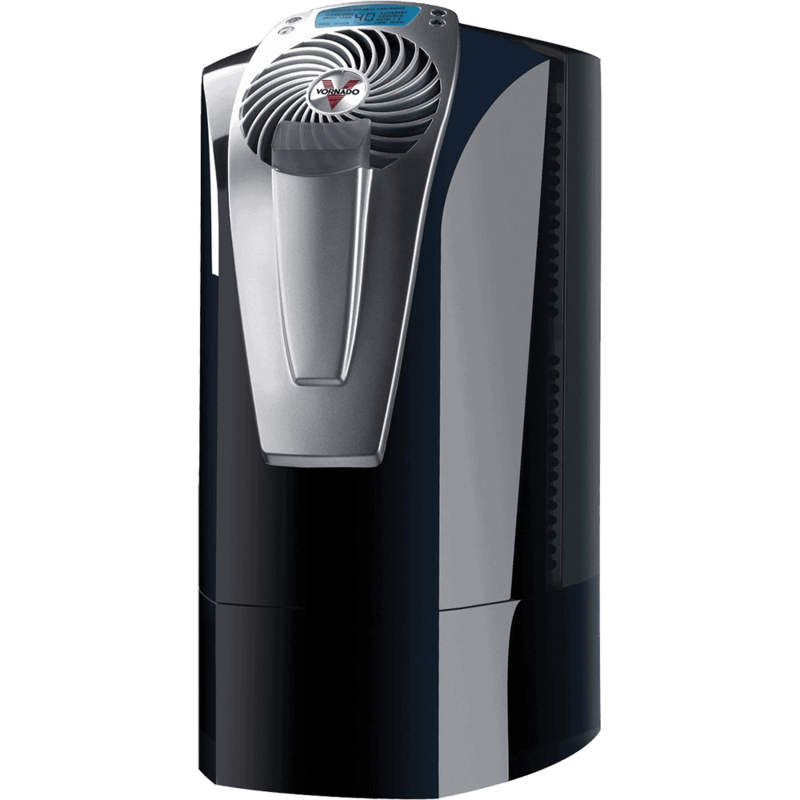 Vornado Ultra 1 has a tower design, warm and cool mist, an electronic humidistat with LCD display, water refill indicator, mist output control, mineral cartridge, mineral cartridge replaces indicator, cleaning brush.